Samsung is a well-known name in computers and electronics. The company has a variety of tablets in its product line-up with a host of features most consumers want. The Samsung Tablet 3 was a good choice in the small tablet division. A small tablet is one that has a screen size between 7 and 9 inches in diameter. However, this tablet debuted over five years ago and can only be found used or refurbished. Other tablets have since taken its place. 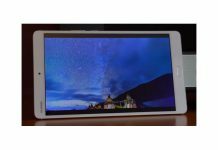 If you want to know more about the Samsung Tablet 3, the reviews and specifications are explored below. When it debuted over five years ago, the retail price on the tablet was out of stock . This was unusual for a tablet of this size to sell for this high of a price. However, it had some good specifications for the time and was comparable to many other units on the market. Some industry analysists had good reviews of the Samsung Tablet 3 when it first came out. The initial offering price seemed high at the time since it was comparable to the Apple iPad, which sported considerably more features and benefits. However, it was less expensive than some similar models from other manufacturers. The model size would just fit comfortably into the hand because of its thin and narrow silhouette. It did not have a stylus slot, which caused other models to be more uncomfortable to hold. The bezel set buttons can sometimes cause problems with accidental pressing just by trying to hold the tablet; however, these buttons had enough of depth and calibration not to cause an accidental press. On the screen, the apps were not sitting closer together, allowing for easier pressing and less unintentional opening of the wrong app. The many useful features in the tablet made up for the color combination choices. The design had more pastels, which made it feel like a child's tablet. However, the easy-to-access shortcut tray allowed quick toggling of some features: Smart Stay, Wi-Fi, GPS, Reading, and Multi-Window Mode. Similarly, the ability to run two apps simultaneously on the screen easily made up for the romance novel color choices. The user could easily resize the app windows as needed. Since many social media apps came pre-loaded, one window could be for work and the other for play. The Smart Stay feature was designed to put the tablet into sleep mode when the user’s eyes were not on the screen. This creepy but useful feature saved battery life but did not always work, according to customer reviews. The Group Play feature allowed file sharing with other Samsung owners, but only if those users were on the same Wi-Fi network. One downside to this feature is that you would have to leave the work group in order to access the internet. 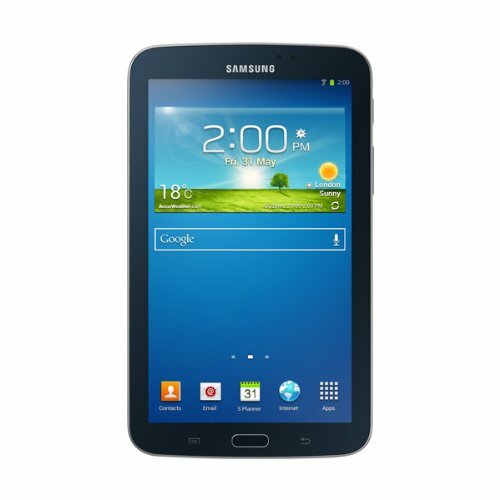 Consequently, this feature worked better for people who might use the tablet at work around other Samsung tablet users. Other customers would not get similar use of this feature. It seems as though this was added for companies that purchase many tablets for their workers, not for the casual user. The Watch-On feature easily integrates any media streaming and video content with the tablet. You could also let other people know what you were watching with the social media adaptations. Another useful part of the Watch-On was the ability to search for any media content. You could search for a particular movie, for instance, and have all viewing options presented in a list. By clicking on the item of choice, Watch-On would immediately direct you to the movie on that specific platform where you could then rent, purchase, or stream the content. Because of the higher resolution graphics of 189 pixels per inch, fonts look smooth and sharp, not jagged and unsophisticated. The screen included three presets that could be adjusted depending on use: movie, dynamic, or standard. Screen swipes moved quickly at sixty frames a second. Pressing the home button, however, sometimes stalled the screen temporarily until the system caught up. The back of the tablet sported a 5-megapixel camera, which at the time was great for taking pictures in a variety of settings. The camera had a problem with darkness since the aperture was set high. Customers needed to combat this by using more natural and outdoor lighting when taking pictures. With enough light, the camera would catch fine details in the frame. The front camera only has 1.3-megapixels, which meant poor picture quality, but it was decent enough for video chat or taking selfies. In independent testing, the Samsung Tab 3 battery lasted a total of 8.3 hours with continuous video streaming. This came in at the lowest of the battery life tests. Other Samsung batteries lasted up to 13.4. Therefore, battery capacity was not as impressive as for other tablet options. 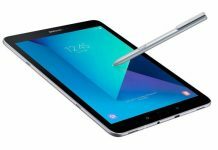 The industry reviews seemed to support the purchase of the Samsung Tablet 3. However, customer reviews were a bit less friendly. Many had problems with the tablet from the initial purchase and ended up returning the unit. Some people did not start having problems with the unit for several months to almost a year. 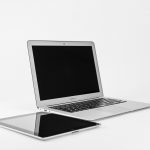 In general, tablets should last as long as computers, so customers reporting issues with their tablets in under a year is concerning. Many users complained about the battery life from the beginning, and others noted that their tablets would stop taking a charge after owning it for less than a year. Users liked many of the innovative features listed above and really liked the high-quality graphics on the smaller screen. Who will be using the tablet? 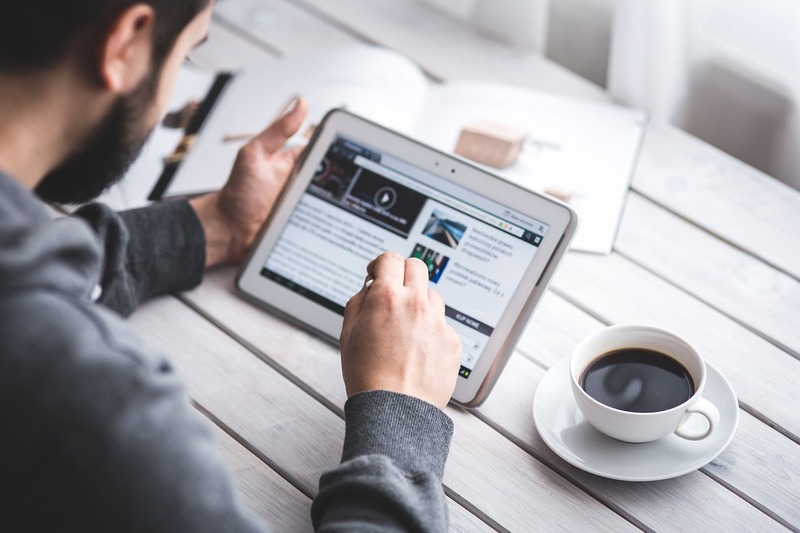 If the tablet is just for kids playing games or watching videos, you may not need some of the features of the more expensive tablets that have a higher memory for running word processing or spreadsheet apps. Will you need an external keyboard? If you will be doing work, an external keyboard is a necessity. If you are just surfing the internet and posting on social media sites, the keyboard built into the tablet should suffice. Will you be doing photography or graphic design work? If this is the case, you will want the best onboard camera that you can afford, higher-end processing, and graphics capabilities. These usually come at a higher price. What size screen is most comfortable for you to view? The small tablets, such as this Samsung Tablet 3, have screens between 7 and 9 inches in diameter. This size is great for travel since it can comfortably fit into a small bag. It is also a good e-reader size since you can adjust the text size when reading. However, gaming and graphics look better on a larger screen for a more immersive experience. Therefore, you will want to choose a large tablet with a screen greater than 9 inches. 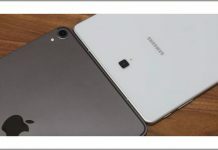 If you are looking for a current model for the Samsung Tablet 3, there are eleven models in the 9-inch and under category. There are two tablets dedicated to children: Galaxy Kids Tablet 7.0-inch Lego Ninjago Movie Edition and the Kids Tab E Lite 7.0-inch 8GB tablet. Both tablets are great for streaming media. They run on the Android 4.4 Kitkat platform and have Wi-Fi access built-in. The only difference is that the Ninjago Edition is green, has pictures of the Ninjago characters on the back, and costs more. The other small models in the Samsung line vary by communication carrier and memory. If you need a tablet for a specific carrier, Samsung has a Galaxy Tab E for AT&T, Sprint, T-Mobile, U.S. Cellular, and Verizon. Several of these run on the Android 5.11 Lollipop platform and the others run on the Android 6.0.1 Marshmallow platform. They all boast 16 GB of RAM, except for the Verizon model that has 32 GB. 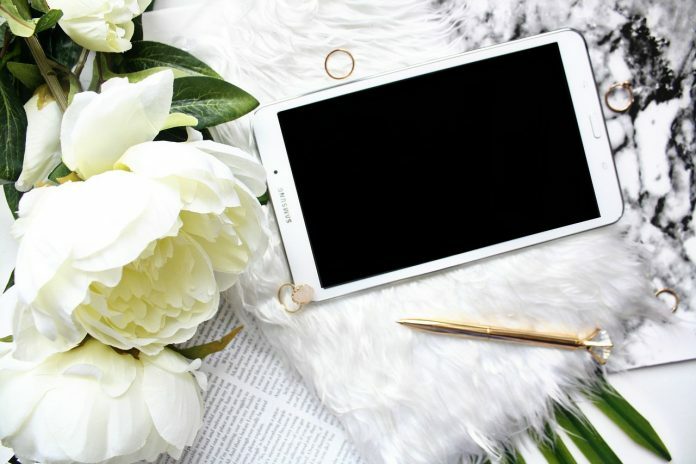 Since you will probably not be able to find a Samsung Tablet 3, you will want to use the above information to decide on the best tablet for your needs. Then, you’ll want to watch the sales to get the best price when you want to purchase one. New tablets are usually released in the third and fourth quarters of the year. So look for new tablet models from July through November. This is especially important because retailers will be looking to move the older models out of their inventories to make room for the new designs and features. For this reason, you should be able to find a good deal on last year’s model or a decent deal on a new model. The Christmas holiday time is also known for sales to help boost retailers’ year-end sales numbers. They know that people love to give electronic items as gifts, especially tablets. Most retail stores allow returns of electron equipment for a limited time, usually thirty days or less. Therefore, they often have open-box items, which are returns that have been inspected for functionality and returned to the sales floor at a discount. Since the items are no longer technically new, they cannot be sold for retail. You can easily find discounts of ten to twenty percent off retail for a returned item, and they should still have the same return policy as new items. Be sure to ensure that open-box items can be returned if you encounter a problem. Many people trade-in their older model tablets for a new one. These older models are still functional but do not have the latest features or technology. Retailers or small computer repair shops will sell refurbished units at a fraction of the original cost. They first ensure that the tablet works well. If something needs to be fixed, the tablet will be corrected, cleaned, and offered for sale. Brick and mortar retailers have a special place in the store for open-box and refurbished electronics. You can call or visit to find out what they have available. Online retailers offer their refurbished electronics with delivery to your house or one of their stores. Either way, you can get a great deal on working electronics if you use this option. The Samsung Tablet 3 may have been a good choice a few years ago. As you can see from the review above, it had many innovative features only available in the Samsung line. Today, you may not be able to find this tablet, but there are many other options available in similar price points for you to choose from. Samsung continues to offer great features and pricing for their tablets. 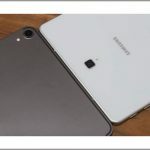 You will want to make sure that you purchase your tablet from a reputable dealer, and you always have the knowledge that Samsung is a quality brand with a solid reputation. The Samsung Tablet 3 is great performing small tablet equipped with excellent features. It showcases a stylish design and powered by a great battery pack.